This SpaceX Dragon has created history by carrying a Chinese science experiment to the ISS for the first time ever. A Falcon 9 rocket carried the SpaceX Dragon at 5:07 pm (2107 GMT) from Cape Canaveral, Florida. After a delay of two days due to bad weather conditions, the SpaceX Dragon cargo capsule was finally launched on June 3 as per reschedule. A Falcon 9 rocket carried the SpaceX Dragon at 5:07 pm (2107 GMT) from Cape Canaveral, Florida. This SpaceX Dragon has created history by carrying a Chinese science experiment to the ISS for the first time ever. The purpose of the SpaceX Dragon is to provide food and supplies to astronauts living aboard NASA’s International Space Station (ISS). "Three, two, one, and liftoff," said NASA spokesman Mike Curie as the rocket made its way to the clouds. 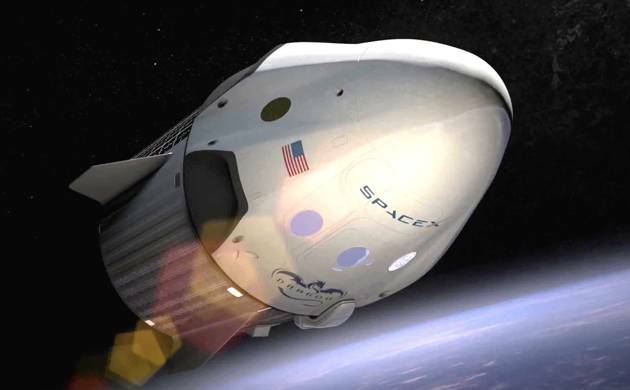 The SpaceX Dragon spaceship last time flew to space back in 2014. The Dragon packs around 6,000 pounds (2,700 kilograms) of science research, crew supplies and hardware, The SpaceX Dragon is likely to arrive at ISS on Monday, June 5. The Dragon is packed with almost 6,000 pounds (2,700 kilograms) of science research, crew supplies and hardware and should arrive at the ISS Monday. The supplies also include live mice on which researchers will study the effects of osteoporosis. Also there are fruit flies for research on microgravity's impact on the heart. Also, the SpaceX Dragon spacecraft carried solar panels and equipment to study neutron stars. SpaceX successfully returned the first stage of the Falcon 9 rocket back to a controlled landing at Cape Canaveral about 10 minutes after the launch of Dragon. The engines were powered by the rocket, which guided itself down to Landing Zone One, not far from the launch site. "The first stage is back," Curie said on NASA live webcast. The visuals showed how the tall, narrow portion of the rocket touched down steadily in a cloud of smoke. It was SpaceX’s fifth successful landing on solid ground, said the company. Several of Falcon 9 rockets have returned upright to platforms floating in the ocean. SpaceX has been pushing to make spaceflight cheaper by the re-use of costly rocket and spaceship components after each launch, rather than discarding them in the ocean. The launch of SpaceX Dragon was the 100th from NASA's historic launch pad 39A, the starting point for the Apollo missions to the Moon in the 1960s and 1970s, as well as a total of 82 shuttle flights.